Other photos: Manufacturer Provided Image: Sunseeker Manhattan 73, Manufacturer Provided Image: Sunseeker Manhattan 73 Aerial View, Manufacturer Provided Image: Sunseeker Manhattan 73 Bow, Manufacturer Provided Image: Sunseeker Manhattan 73, Manufacturer Provided Image: Sunseeker Manhattan 73 Helm, Manufacturer Provided Image: Sunseeker Manhattan 73 Saloon, Manufacturer Provided Image: Sunseeker Manhattan 73 Dining, Manufacturer Provided Image: Sunseeker Manhattan 73 Owner's Stateroom, Manufacturer Provided Image: Sunseeker Manhattan 73 En Suite, Manufacturer Provided Image: Sunseeker Manhattan 73 VIP Stateroom, Manufacturer Provided Image: Sunseeker Manhattan 73 Cabin, Manufacturer Provided Image: Sunseeker Manhattan 73 Forward Cabin, Manufacturer Provided Image: Sunseeker Manhattan 73 Guest En Suite. SYS Yacht Sales is pleased to assist you in the purchase of this vessel. 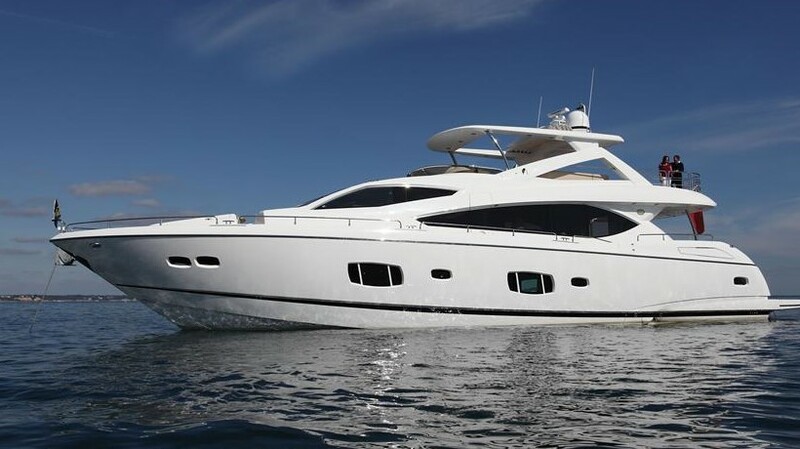 This boat is centrally listed by Ocean Yachts.